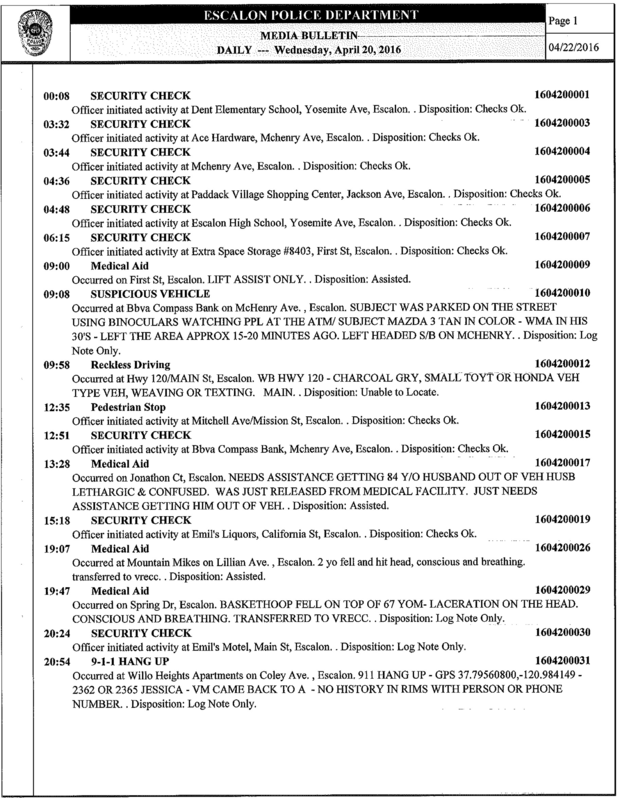 ESCALON POLICE LOG FOR APRIL 16, 2016 THROUGH APRIL 25, 2016. 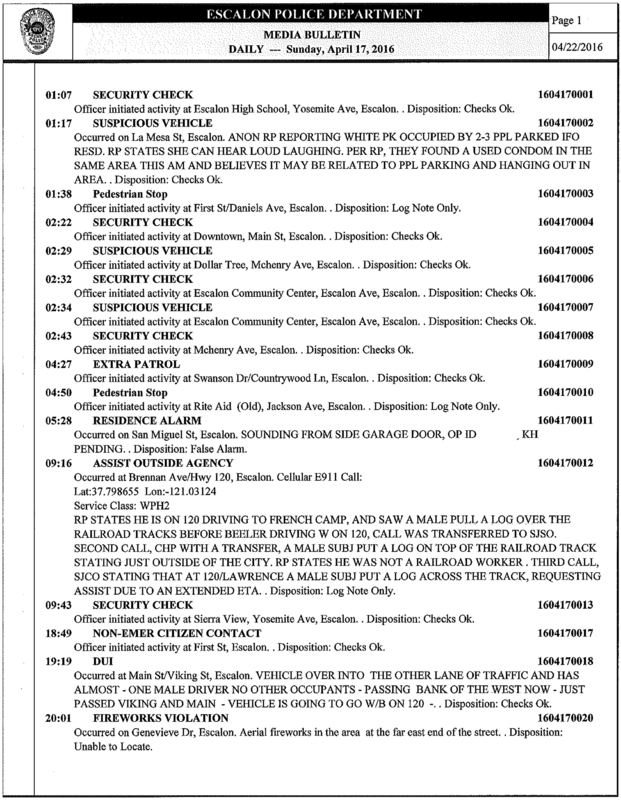 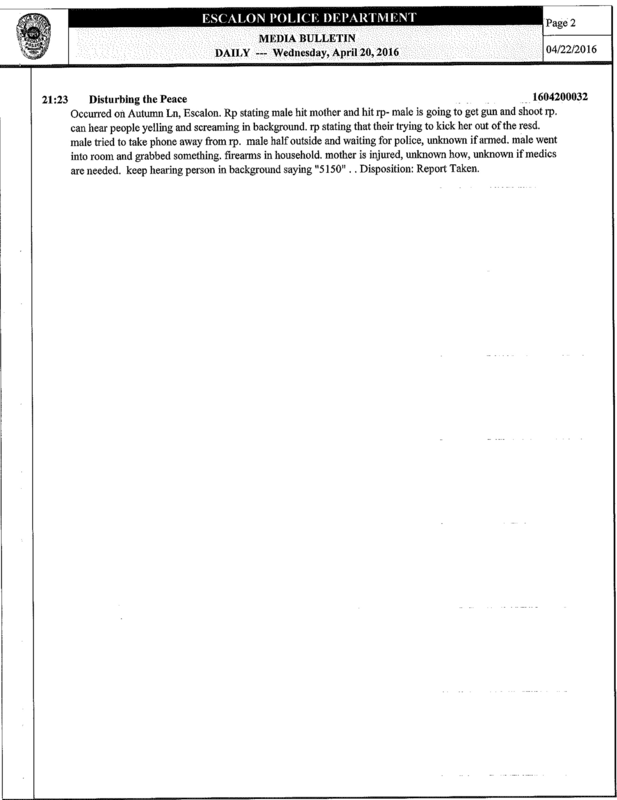 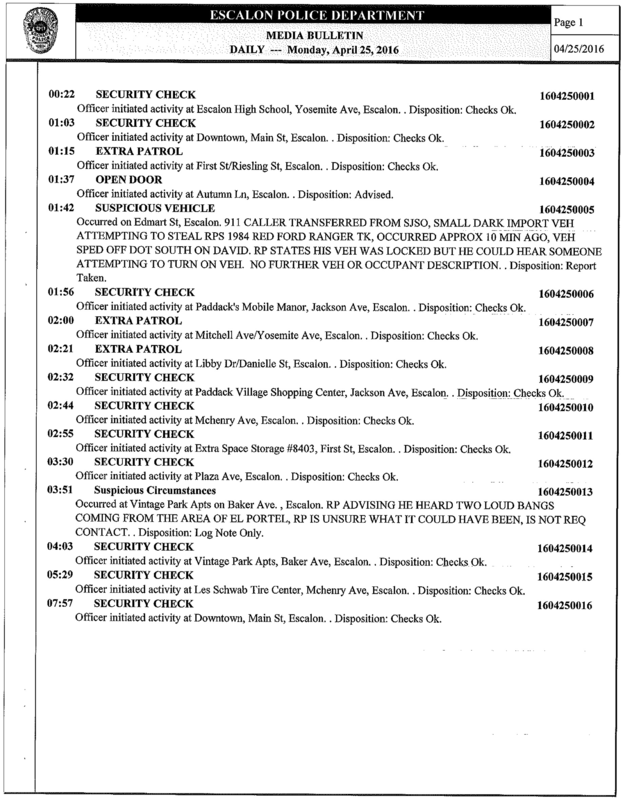 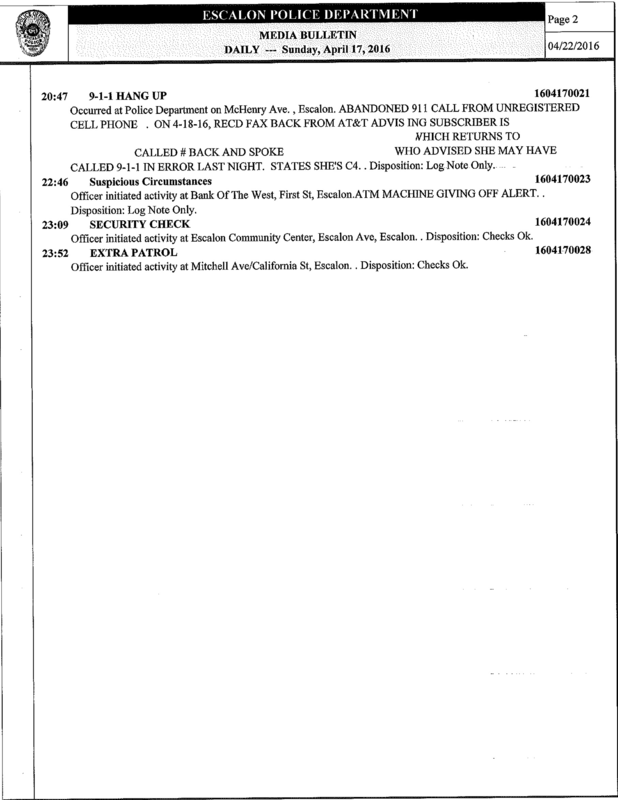 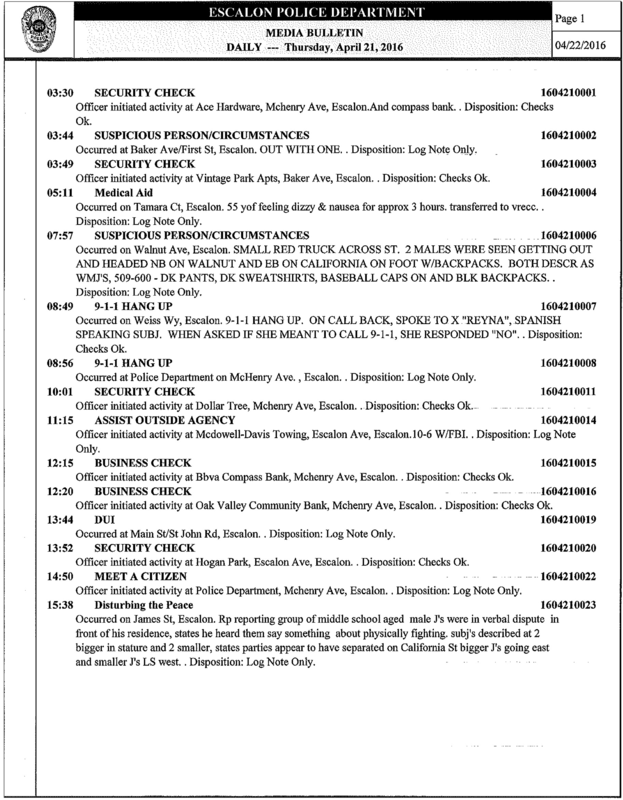 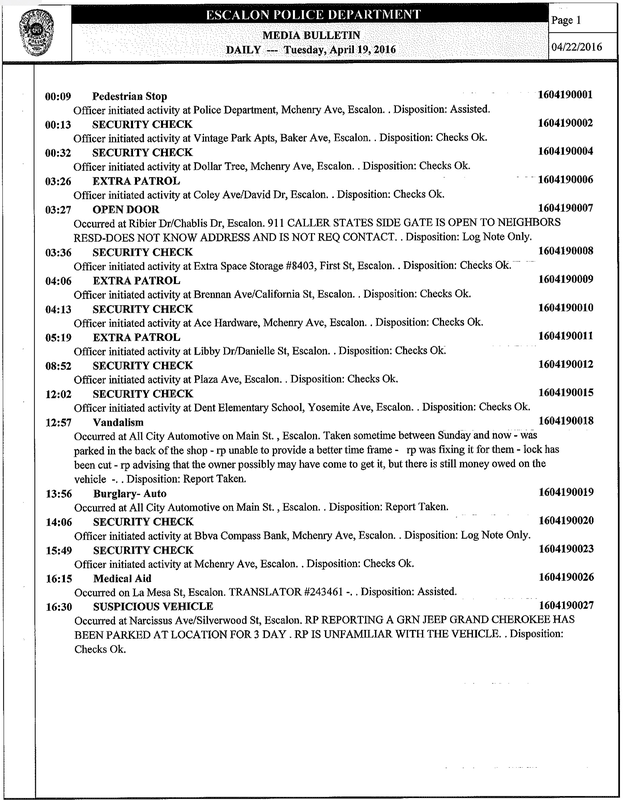 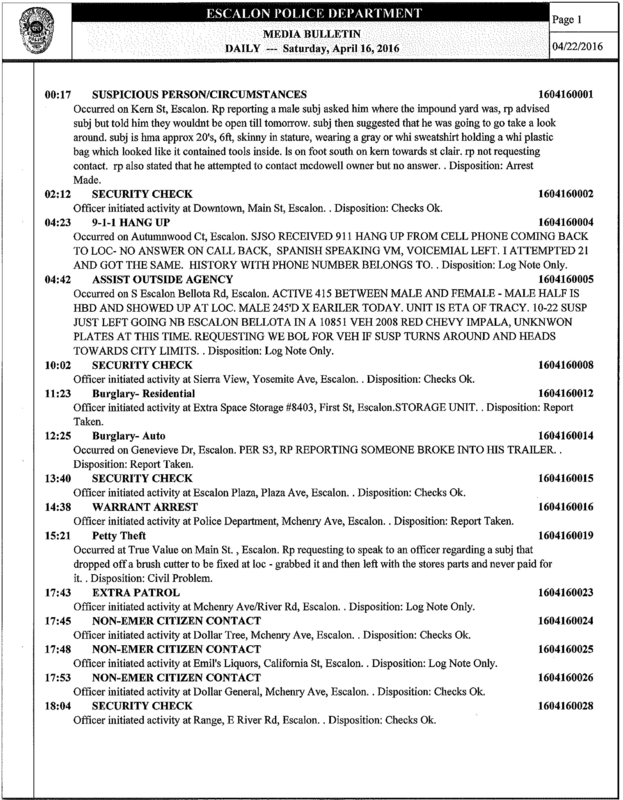 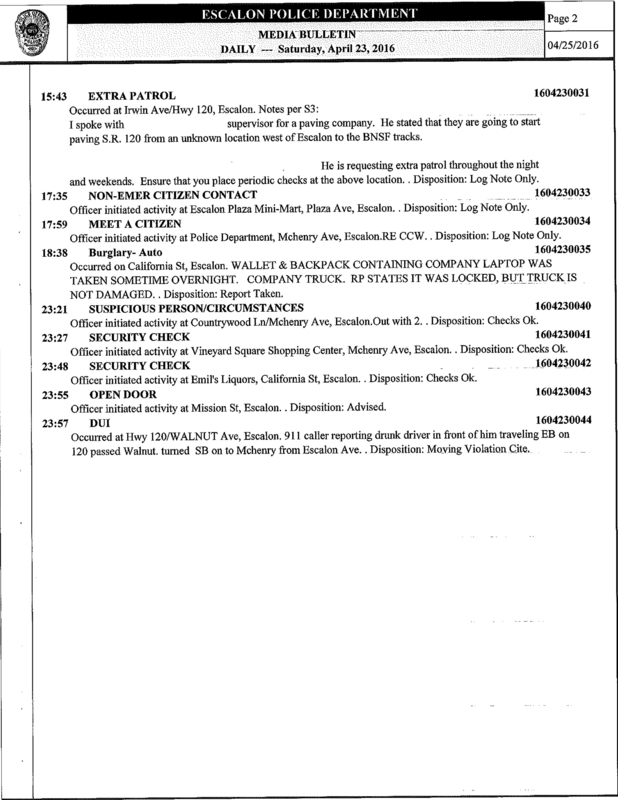 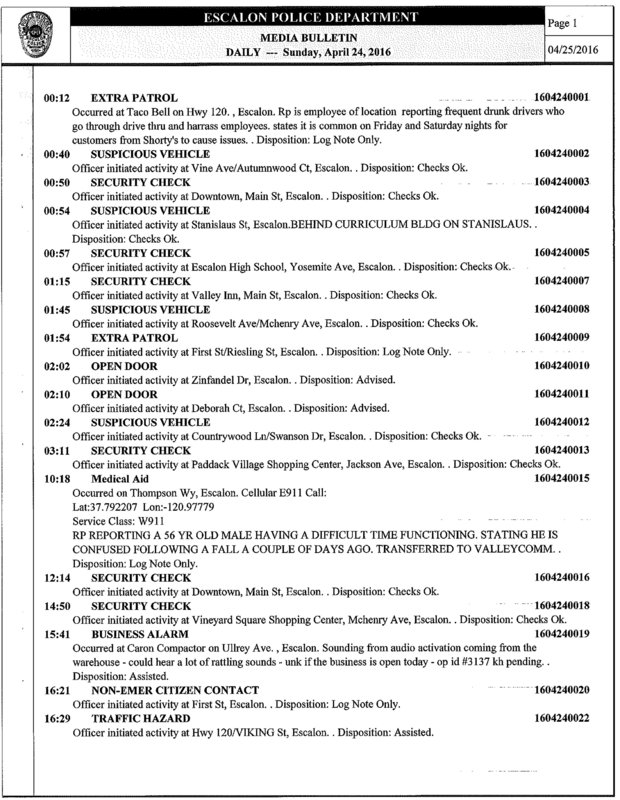 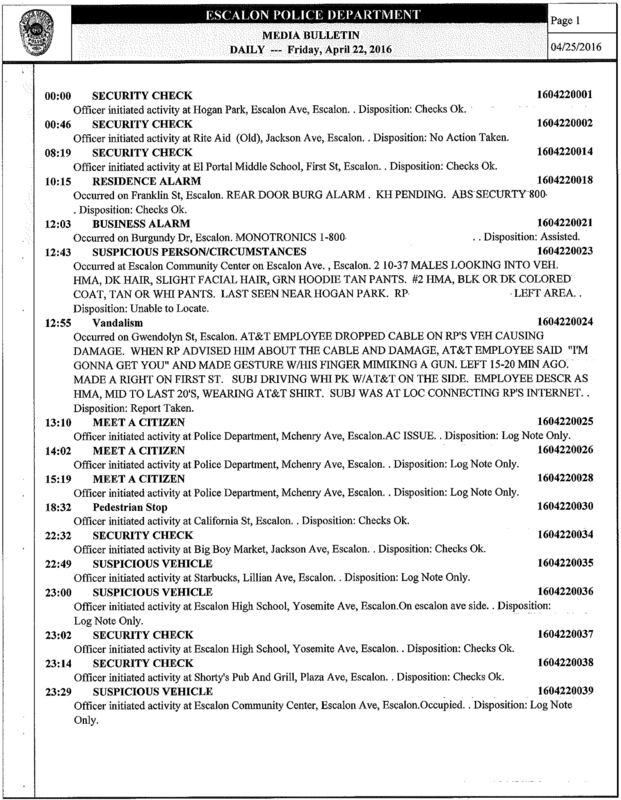 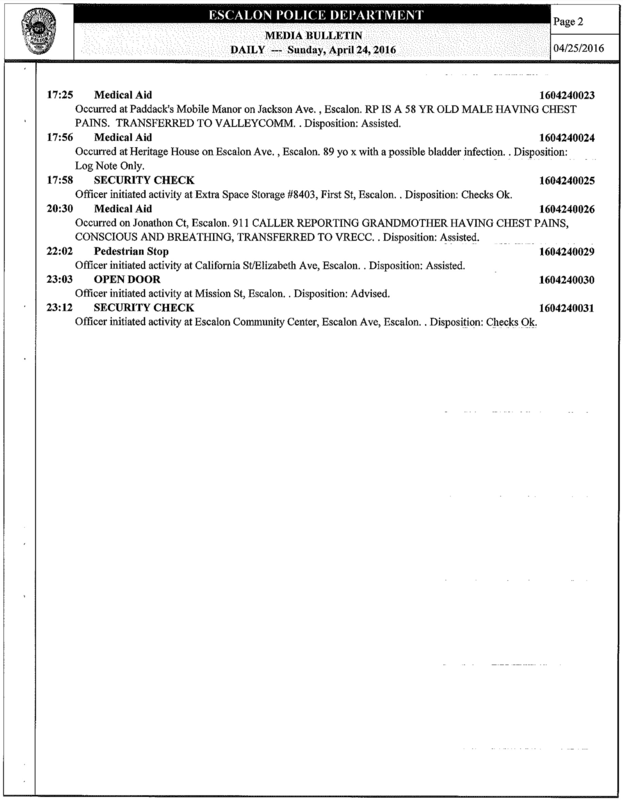 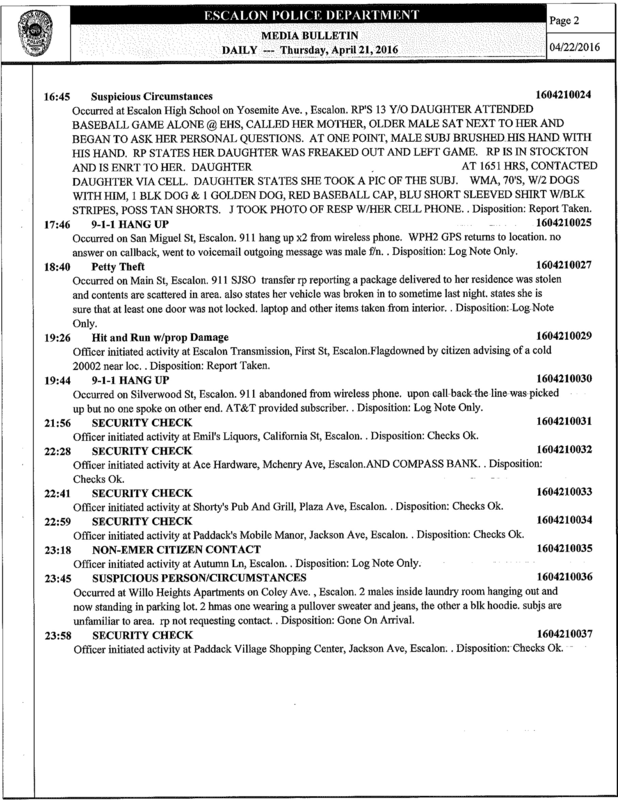 NOTICE: The names and incidents printed in the Police logs are obtained from the daily log of the Escalon Police Services, which are Public Record. 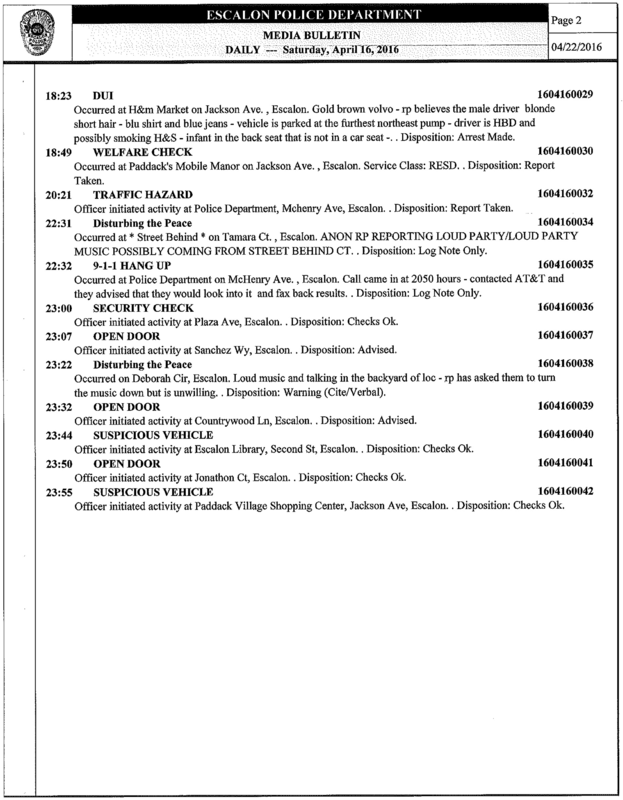 The listing of a name, photo or incident in the log or on this Website does not imply of that person’s guilt or innocence. 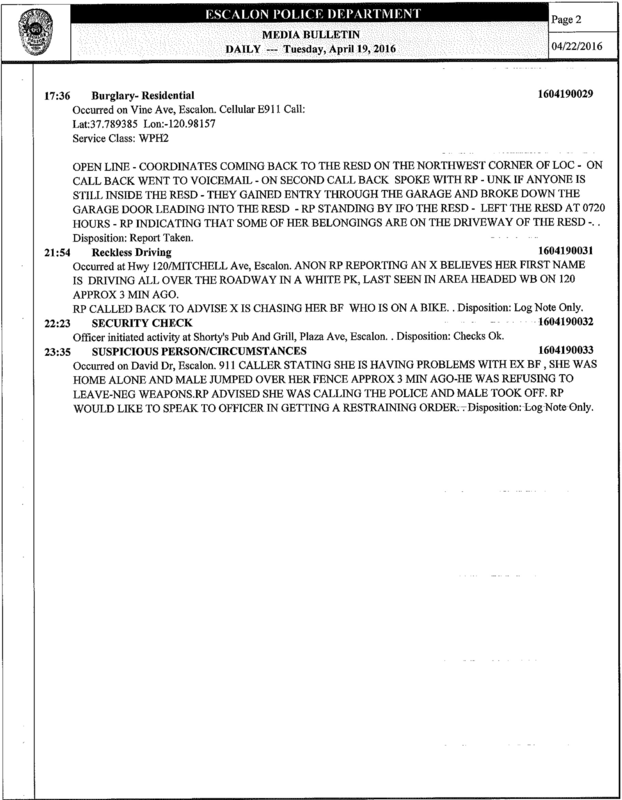 This can only be determined by a court of law. 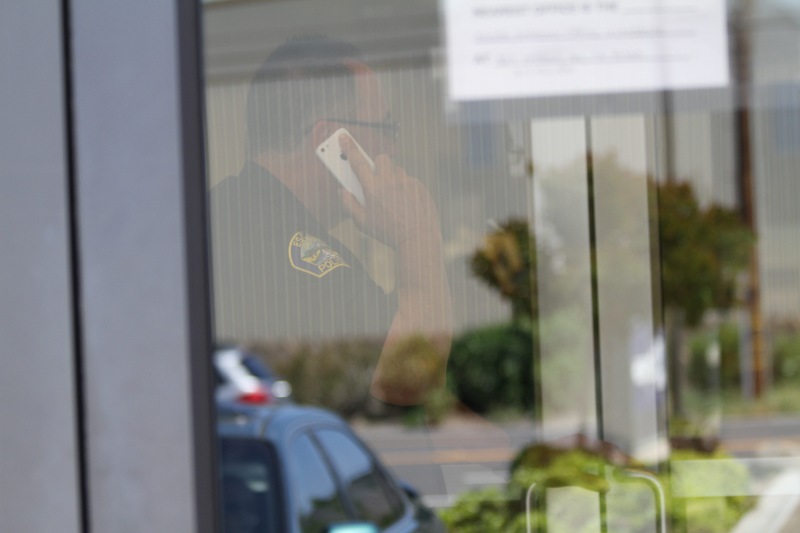 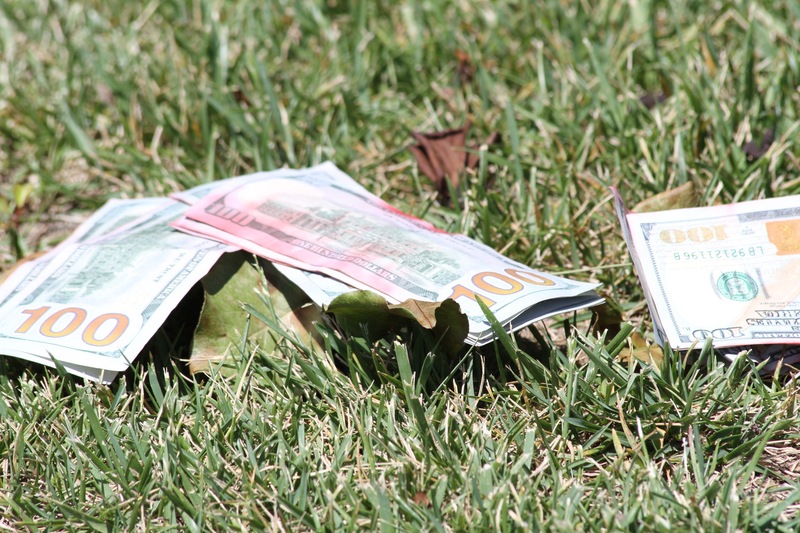 Previous Previous post: BBVA Compass Bank on McHenry Avenue was Robbed at High Noon. 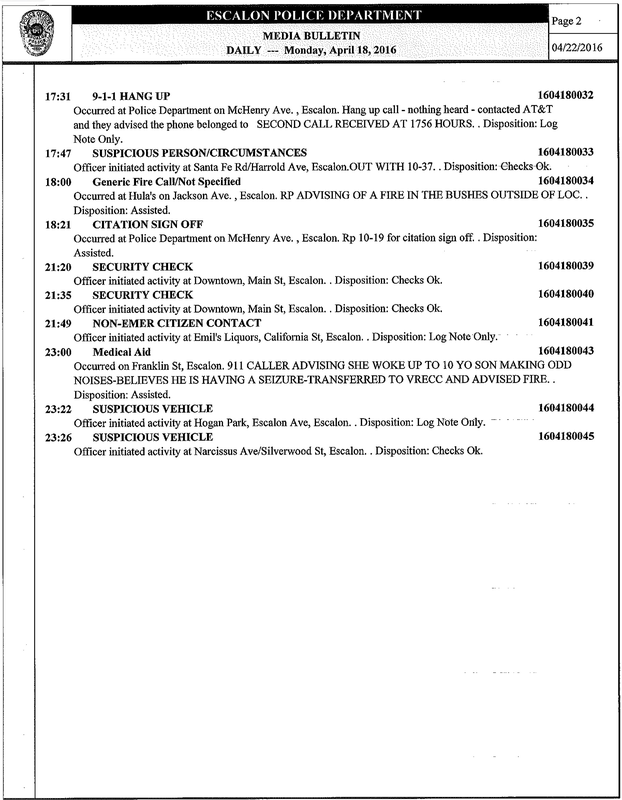 Next Next post: ESCALON SOLO VEHICLE FIRE AT MCHENRY AVENUE AND MEYERS AVENUE. 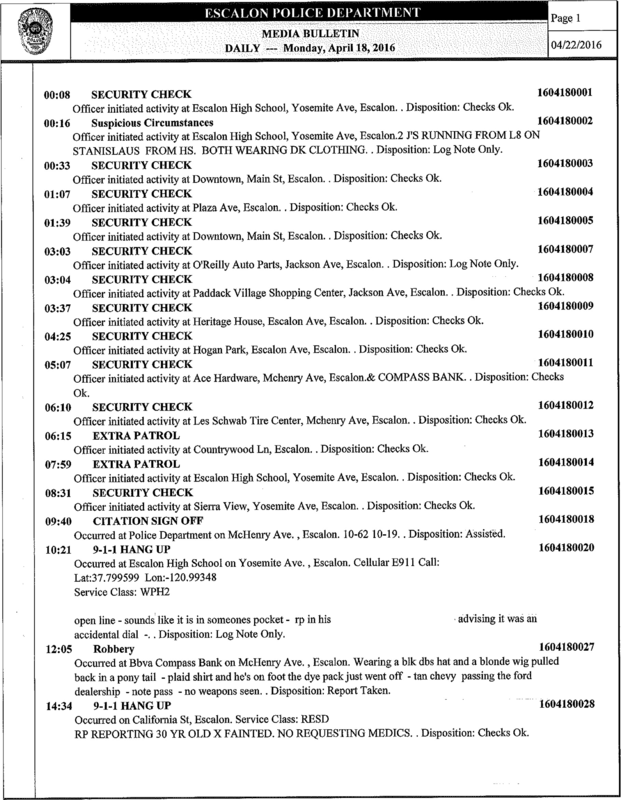 WeEscalon ESCALON POLICE LOG FOR APRIL 16, 2016 THROUGH APRIL 25, 2016.